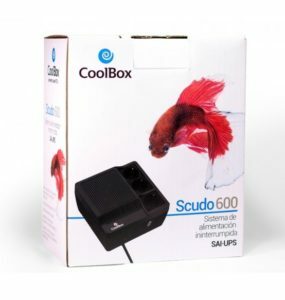 The ‘Coolbox’ provides an uninterruptible power supply. When fitted between the wall socket and your devices, it ensures that the power keeps flowing even when there’s a power-cut. This prevents both minor annoyances, like the oven clock or alarm clock resetting, and major problems like the computer or internet unexpectedly shutting down and losing your work. When the power supply recovers, the Coolbox will automatically begin feeding power through without any need for you to restart. These are ideal for people who work from home or in the office on a desktop computer or a plugged-in laptop. If there’s a power surge or cut then your power supply to your devices won’t be immediately interrupted, giving you time to save or complete your open work or tasks. We’ve got Coolboxes in stock in our Moraira office right now, so you can pick one up or order one to be send to you. We’d also be happy to discuss the product with you – email us on sales@telitec.net, or call 965 743 473 / 902 889 070.